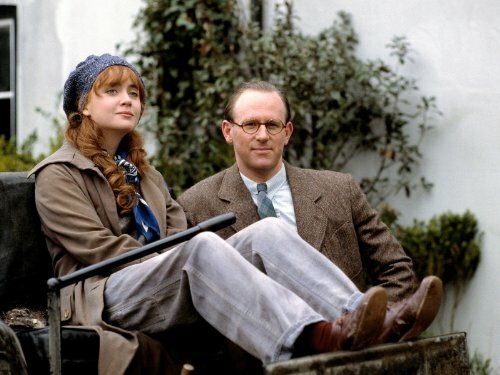 I've only read a few Golden Age mysteries - a little Agatha Christie, A.A. Milne's Red House Mystery, and most of Edmund Crispin's The Moving Toyshop. Mostly, my knowledge of the genre comes from the excellent British TV versions of Poirot (starring David Suchet), Miss Marple (Joan Hickson), Lord Peter Wimsey (first with Ian Carmichael and later Edward Petherbridge), and Albert Campion (with that old Timelord himself, Peter Davison). Now that I've untethered myself from heroic fantasy for a piece, it seems a good time to rectify the situation and read more of the actual books. My favorite of the Campion TV episodes is based on Sweet Danger, so, I decided to start with that. When an earthquake suddenly gives a small oil-rich Ruritanian state on the Adriatic called Averna a deep water port, the race is on to discover if there are any heirs to its throne living in England. Albert Campion, upper class twit to strangers, but in reality a solver of mysteries and special agent of the crown, enlists a trio of fellow aristocrats to ensure England's interests regarding Averna. Standing against them are the henchmen of a sinister businessman named Brett Savanake. Sweet Danger is a great and utterly ephemeral read. 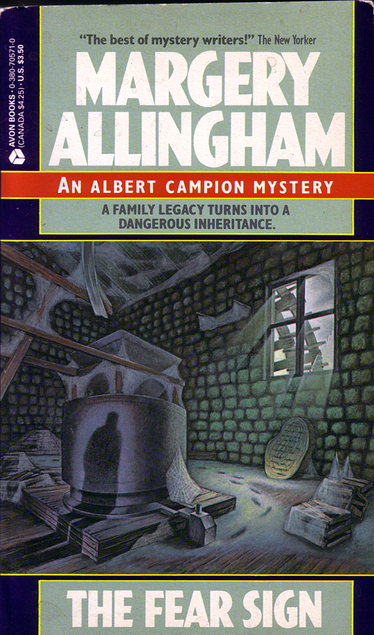 While not developed too much beyond surface traits and tics, Allingham's characters still manage to be vivid and leave a memorable impression. The character she seems to have had the most fun with is Campion's butler, the ex-burglar, Magersfontein Lugg. He's big, bald, and prone to fighting. He's a far cry from Lord Peter Wimsey's ex-batman, the much more proper, Bunter. Other characters, particularly the obviously-mad Dr. Galley and the mechanically-inclined Amanda Fitton, are nearly as good fun. 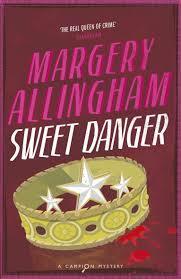 Plenty of Golden Age mysteries are really thrillers and that's definitely what Sweet Danger is. Instead of an absurdly complicated crime, there's a hunt for a lost will, a super villain, and the whiff of black magic in the woods of Suffolk. There's lots of fisticuffs, disguises, and even some secret messages. It's all of absolutely no consequence and utterly great fun. While I'm planning to read several other Golden Age writers before going back to Allingham, I will definitely be reading more of her. Supposedly, The Tiger in Smoke (1952) is supposed to being an absolutely terrific book, featuring a killer at large in the thick London fog. J.K. Rowling is a big fan of Allingham and called Tiger a "phenomenal novel." PS - Here's a fun and loving write up about Allingham and her fiction by Jane Stevenson in The Guardian I highly recommend. Have you read any Emma Lathen? I just heard about her and picked up East is East. She (really they) wrote from 1961-1997 and all of her mysteries are solved by a...banker. No, but I might still have them in the attic. My mother really dig them.Thanks for reminding me of her. I have read a couple of Agatha Christie's and all of the Sherlock Holmes stories. Otherwise, like you, my exposure to British mysteries has mainly been through the BBC, and I certainly enjoyed the Campion series. Though not mysteries, have you read any of the Jeeves and Wooster books by P.G. Wodehouse?